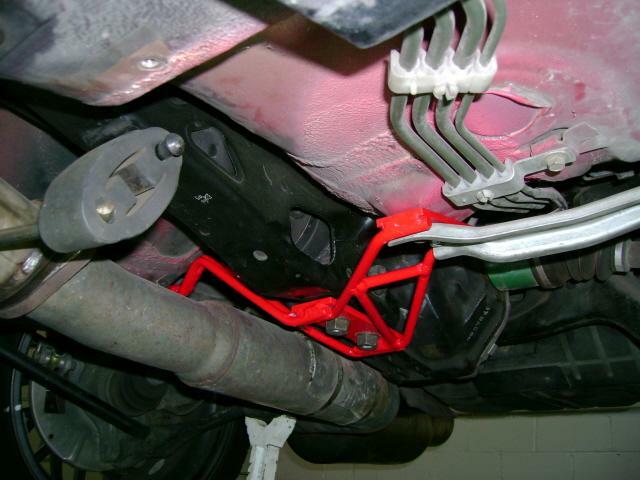 Jack up rear of car and support securely on jack stands. Failure to do so can result in injury or death. 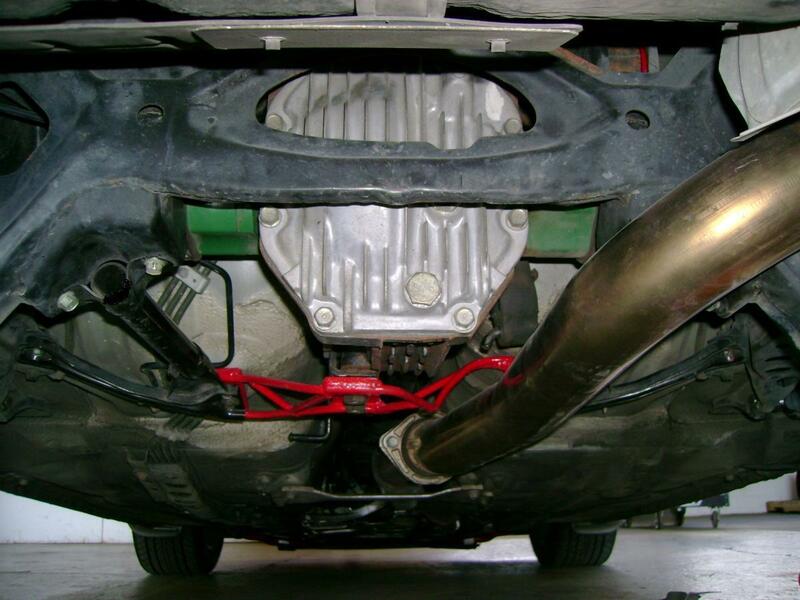 DO NOT place any part of your body under the car when only supported by a jack. Using 10mm socket, remove the two dust shields from both sides of the differential (pic #1). 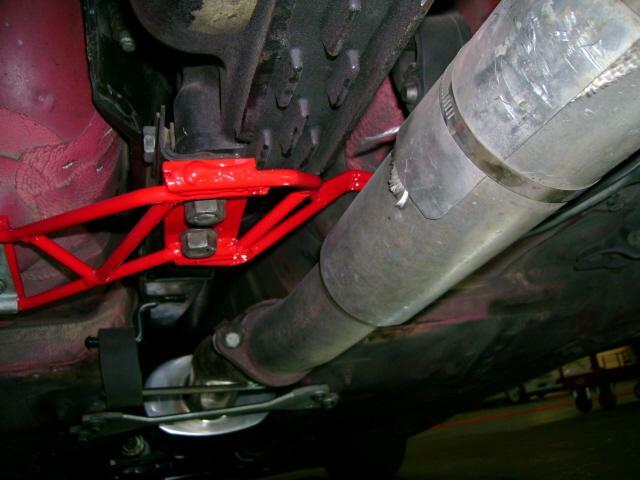 Using 12mm socket, loosen Brackets from each side of the differential (pic #2). 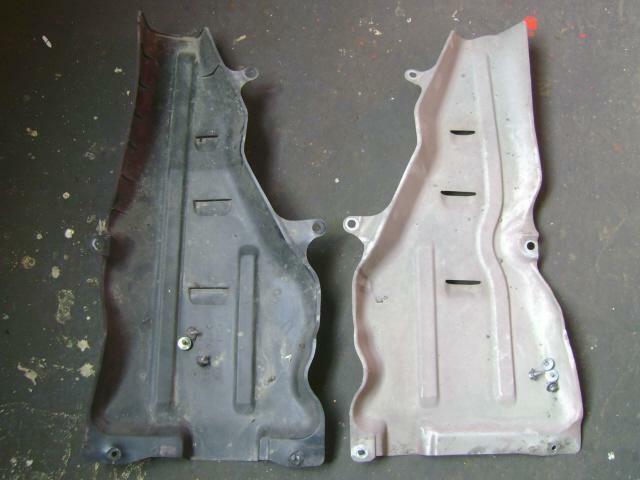 Note: These brackets will look different on '94 & '95 models (pic #9). 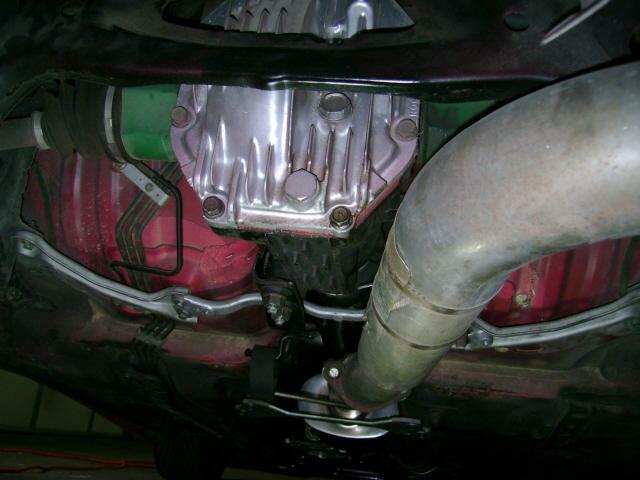 Remove aluminum bar that goes through the power plant frame (pic #3). 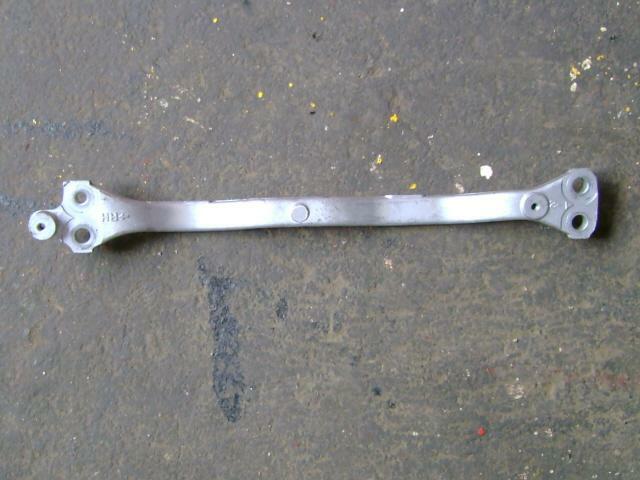 Remove the two lower 21mm nuts (pic #4). 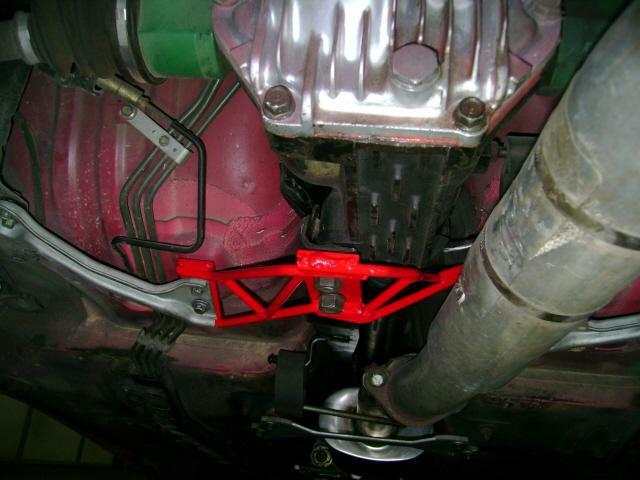 Install brace as pictured (pic #5) with 21mm nuts loosely: DO NOT TIGHTEN. 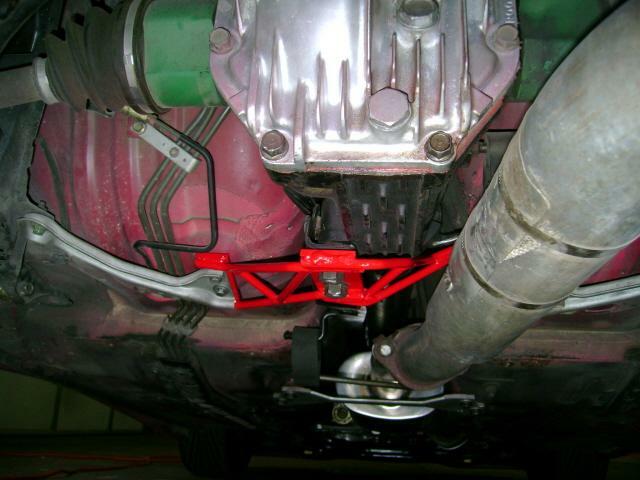 If the side-arms of the brace do not meet the body mounting locations on the chassis, then your PPF is out of adjustment, your differential bushings need replacing, or both. Please click here for directions and inspection tips, or refer to page J-59 of the Factory Service Manual. 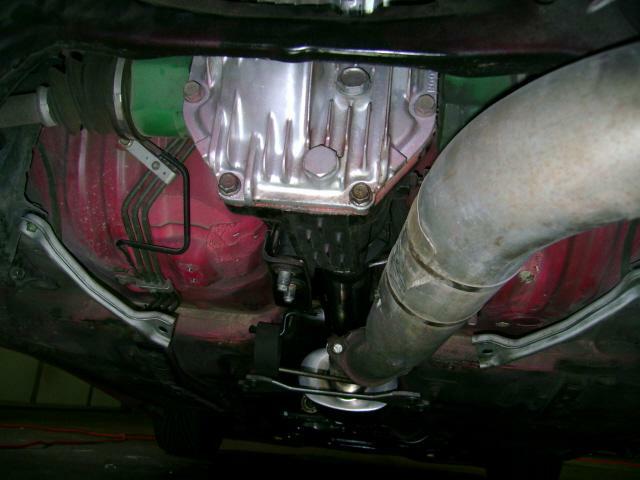 You will need to loosen the nuts at the transmission end of the PPF to make the necessary adjustment. Reinstall two brackets with 12mm bolts loosely: DO NOT TIGHTEN. Lower car and enjoy your new differential brace.